Wendi is an Investment Banker with Griffin Moor, a local Private Equity firm based in Houston, TX. She began her career in the financial industry 2003 with New England Financial, a Metlife company. Her move to Texas in 2009 led her to a private firm with a focus on alternative investments. In this capacity, Ms. Francis focused on Oil & Gas placements, REITs and other non-traded investments for high net worth investors. 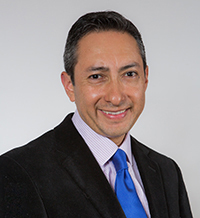 Manuel was the Chief Operating Officer for the Houston Hispanic Chamber of Commerce, the largest Hispanic Chamber of Commerce in the country. As an entrepreneur, Manuel’s field of experience spans from finance, public sector construction, to transportation logistics. He has consulted for private companies in downstream in the Oil & Gas sector to technology startups. Alvaro is a business development professional for Medical Bridges, an international nonprofit organization. A native of Bolivia, Alvaro presently lives in Houston, Texas. Ximena serves as President and Chief Executive Officer, as well as serving on the board of directors of U4C. She is an international business professional and entrepreneur. 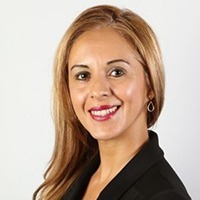 In addition to her role at U4C, Ms. Murillo is a consultant in the areas of global development, corporate social responsibility, international business and social entrepreneurship. Sonia serves as Medical Director and is a member of the Board of Directors of U4C. 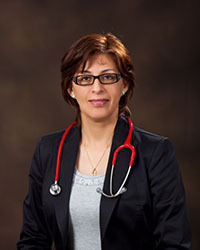 She is a Pediatrician at Nor-Lea Hospital (Lovington, New Mexico), where she has practiced for more than 7 years. She has received several awards as both an effective and compassionate physician. Ben is a Manager at Holland Parker, a technology consulting firm based in Houston, Texas. He helped found Holland Parker in 2012 which focuses on financial system implementations for enterprise-sized organizations. Prior to consulting he worked as a software programmer for both a public $14 billion oil and gas equipment and service company and a multi-million dollar private satellite communications company. Currently, Ben leads teams that help companies execute on post-merger IT initiatives, system implementations, and accounting and finance process improvement for his clients. He also works on internal strategic initiatives, marketing and operational execution for Holland Parker. Ben graduated from the University of Texas, Austin with a Bachelor of Sciences Degree in Computer Sciences in 2004 and an MBA from Rice University in 2014. Copyright © 2017. United4ChangeCenter.org. Built in Houston, Texas by Simply Human.